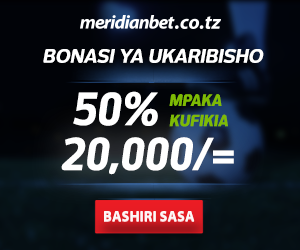 As of November 2018, Meridianbet.co.tz is the leading online sports betting site in Tanzania. – MeridianBet offers better odds than most international betting operators. – They accept m-pesa and tigo pesa from Tanzanian players. – They pay out your winnings quickly. – The account approval process could be faster. – The sign-up bonus they offer could be simpler to claim. However, all other operators also have the same “cons”. One thing is sure: the new MeridianBet website is user-friendly and easy to navigate. You can bet on so many different sports: football, basketball, tennis and volleyball. Obviously, as football is the most popular michezo in Tanzania, most of the odds are soccer-related. Basketball, cricket, rugby, ice hockey, tennis, volleyball, badminton, futsal, boxing, American football and athletics follow, with fewer games to bet on, but always with great odds. 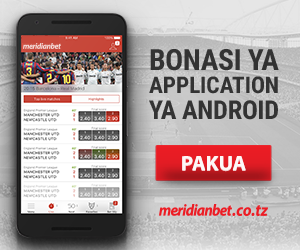 Meridian is the first licensed betting operator in Tanzania and it has become a household brand among Tanzanian bettors because of the high quality of its betting interface and the widespread network of physical betting shops across Dar es Salaam and upcountry. – iPlay8’s betting website (iPlay8 Betting) has been disabled for quite a while now – honestly, not that it had been working so wonderfully while it was still up and running. – M-Bet.co.tz is a pretty good mobile betting operator in Tanzania, as their name says, they have a strong mobile-optimized interface. – …and last but not least, we have Supa Bets which is the rising star in Tanzania… but then the list is finished.